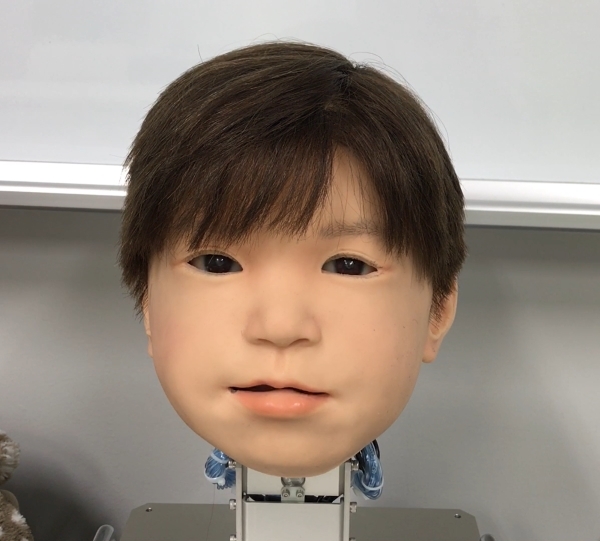 Over the last seven years, Affetto, a “child-type android” created by researchers at the University of Osaka, has become far more lifelike. In 2011, Affetto was a taut-skinned doll with a moving mouth and eyes—no more lifelike than an animatronic Cabbage Patch Kid. Today, the robo-boy can convey emotion with skin that seems to contort naturally—looking something like a Japanese Chucky doll, minus the body. In a new paper, the researchers behind Affetto explain their technique for upgrading their latter-day Pinocchio. In order to give Affetto’s face more humanistic expressions, the researchers developed a version with a lot more pneumatic actuators behind the skin. Then, instead of fine-tuning each one, they plotted out 116 points on one side of the face and studied how they moved, measuring three-dimensional motion. That allowed them to develop a system they could apply to all the actuators to advance the realism of the facial movements through better control of the synthetic skin. The latest version of Affetto also has an asymmetrical face, most noticeably in the eyes. The new Affetto is somehow less creepy than its rigid gloss-faced predecessor, but so much more unsettling.